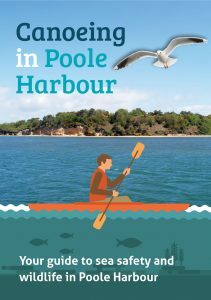 Canoeing in Poole Harbour (pdf, 5Mb) – as part of Borough of Poole’s work to raise awareness of Bird Sensitive Areas in Poole Harbour, this leaflet is made available to help canoeists enjoy the harbour safely & responsibly. It suggests how they can minimise the disturbance to important species at the same time as appreciating the wildlife, and includes a useful map of the Harbour. Printed versions have been distributed to water sport shops, rental/tour businesses and clubs in Wareham and Poole Harbour. The leaflet includes a useful ‘Discover Poole Harbour’ map; it was produced in August 2016 by the Dorset Coast Forum with the input of many organisations including Birds of Poole Harbour, Poole Harbour Commissioners, Dorset Wildlife Trust, National Trust, Borough of Poole and the Poole Harbour Canoe Club. 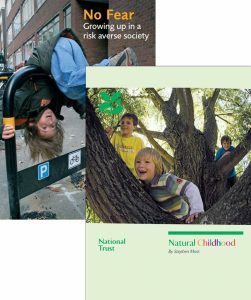 It was funded by Natural England and the RNLI, supported by the Poole Harbour Steering Group.